Dual 2,000 Guineas winner Churchill, who is a hot favourite for the big race of the opening day at Royal Ascot, the St James's Palace Stakes. The rain has retreated and the sun has re-appeared. What better time for Royal Ascot? 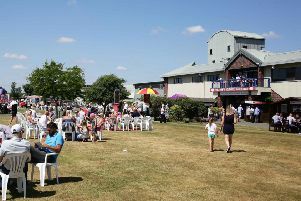 Not only the greatest festival of Flat racing in the world but also the gateway to an annual feast of summer sport in the UK.